I’m really pleased to be “organising” another major run in 2019 – Correr Por España . Correr por España is a 1,000 mile solo run through the heart of Spain. If you followed my “Atlantic to the Med” run across the Spanish Pyrenees in 2016 or my “Trans Italia” run across Italy in 2017 you’ll know that I use the term “organising” loosely! This trip will have the normal thrills and spills, the appalling sense of direction, the abysmal diet, the lack of water and of course the joy of meeting some really interesting characters en route. I can’t guarantee there will be running on Italian motorways, scaling ice walls in shorts and a t shirt or being chased by wild boar but I’m sure there will be something similar. So why on earth am I doing this when, at 62, society dictates that I should be sitting on a sofa watching TV? Well firstly to inspire people everywhere, regardless of age, race, gender, to never give up on their freedom and their dreams. Just 7 years ago I was clinically obese, riddled with arthritis and often having to walk with a stick. I was able to change my life and as well as running across Spain and Italy I ran 8 marathons in 8 countries in 8 days, a world first, driving myself between each one. I’ve also been lucky enough to compete in marathons and ultras all over Europe including the Madrid Eco Trail, The Ultra Trail Sierra Nevada and the Ben Nevis Ultra. I’m a very ordinary person who does extraordinary things and this option is available to all of us – often all it requires is a change of perspective. 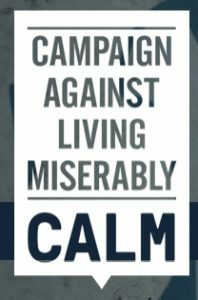 Secondly I’m delighted to be hooking up with and raising awareness for CALM.The Campaign Against Living Miserably (CALM) is leading a movement against suicide, the single biggest killer of men under 45 in the UK. Every day on average 12 men take their own life in the UK and three in every four suicides are male (ONS) Their goal is a life less miserable – for you, your friends, your family and for all men. You can find out more about the amazing work they do by following th link below and I’ll be posting much more about them and how you can help in the coming weeks. I start on the French Spanish border and head west toward Riano then south to Granada and the south coast of Spain. I’ll be using the French Camino, The Via de la Plata, Camino Mazarabe and the Camino de Santiago. To break up the endless running I’ve entered the Riano 3 Day Trail Race and the Sierra Nevada Ultra a few weeks later (I know don’t ask!!). The total distance will be just over 1,000 miles and if all goes well it should take me about 7 weeks. Unlike the Pyrenees, my Sister will probably be meeting me at the end of most days so I won’t have to carry all my belongings with me. I stress the word “probably” because her sense of direction is worse than mine and she’s quite likely to end up in Greece or Bulgaria! We have a base for a few days in Riano and Granada otherwise it’s pot luck. HOW CAN YOU FOLLOW MY PROGRESS? I’ll be posting regular updates on Instagram and Twitter @masairunning and of course there is my website andrewtownsend.com This is going to be such an amazing adventure that I’m going to try and do a vlog too. After the Pyrenees and Italian runs I was lucky enough to be a guest on Radio 4 Saturday Live, BBC Bill Buckley Show as well as a few podcasts and articles in the American media. Although I’m more of a back room boy this is a fantastic charity and a cause that really needs to be talked about so I’ll take any opportunity to publicise it. If you have any media connections or want me to write an article for a publication I’m up for it. I’ll be posting details of how you can directly help The Calm Zone and make a real difference over the coming months. Finally I self-fund my trips but if you have any connections with appropriate companies I’m always looking for sponsors. So come on Salomon, Hoka, DryMax, et al get involved with a proper adventurer! I also will do public speaking gigs for corporates and voluntary organisations however large or small. So get in touch if you’re interested and lets spread the word. P’s I’m always being asked about “Moving Mountains” – my book about the Pyrenees adventure. It’s coming along and I will get it done . If anyone knows any potential publishers, agents please get in touch and I can send an extract.